At S’Kool Smartz, these aren’t just buzzwords. Distributors across the country depend on S’Kool Smartz for accurate, on time delivery of fundraising programs. We understand the catalog fundraising industry better than anyone. We should. 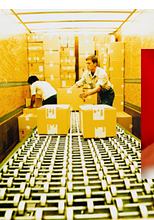 We’ve been providing fulfillment services for over 15 years. Let us earn your trust.